all open in a new window just close to return here. 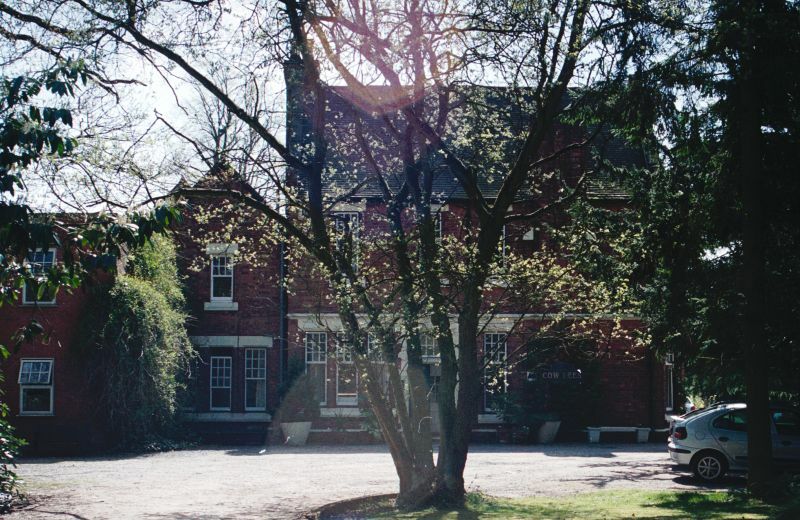 Sole End or Soley End is well documented as being the home of Edward Bulstrode and is indeed mentioned in the memoirs of both Sir Richard Bulstrode and Bulstrode Whitlock. 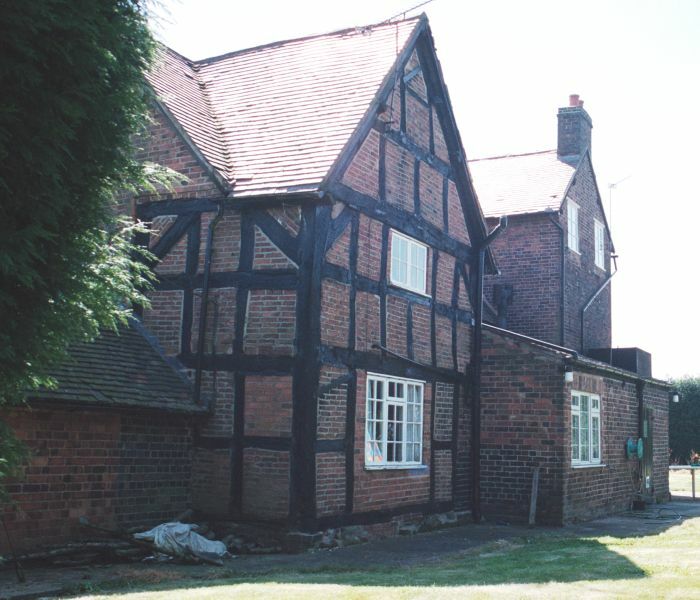 The estate was an ancient manor with it's own entry in the Doomsday Survey of 1086 as Soulege, (OE pigsty (solig), or simply south end, (suth ege). Nearby Astley is referred to as Estliea (OE east woodland clearing) an indication as to the 11th century extent of the Arden forest. Both manors were held by Godric, (a saxon), from Robert Beaumont, (Count Meulan) , who later became Earl of Leicester, Beaumont's brother Henry was the first Earl of Warwick. 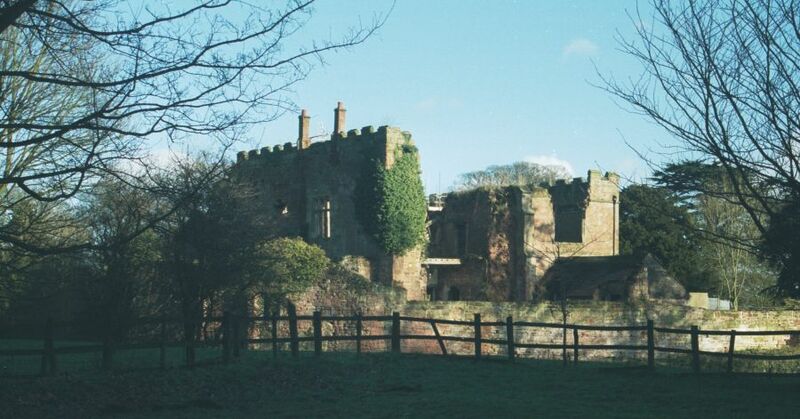 In 1554 Astley castle was held by Henry, Duke of Stafford, at the time he was executed following his daughter, Lady Jane Grey who reigned as queen for nine days. Queen Mary gave the castle to Edward Chamberlain the grandfather of Edward Bulstrode's wife, Margaret Chamberlain. Her father Richard was responsible for remodeling the fine collegiate church of St. Mary as a parish church, it had fell into decay after the dissolution of the monasteries, the tower collapsing c1600. 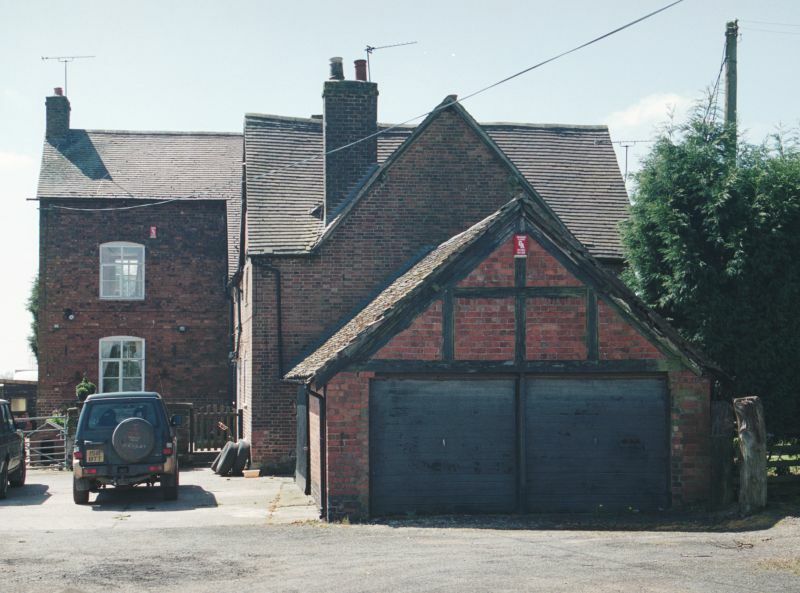 Sole End had almost certainly been part of the Astley estate from the time of the Astley's until it's acquisition by the Chamberlains and was indeed part of that estate when Sir Richard Newdigate acquired it in 1674 . Richard Chamberlayne of Astley, in the County of Warwick, Esquire, of the one part, and Edward Bulstrode of the Inner Temple, London, Esquire, Margaret Bulstrode, wife of the said Edward (and daughter of the said Richard) and Richard Bulstrode, son of the said Edward and Margaret, of the other part, whereby, in consideration of the sum of one hundred and fifty pounds of good and lawful money of England. one Messuage or Tenement Anciently called Emeries and divers Closures, Crofts, Parcels of Land, Pastures, Meadows, Coppice and Groves with the said Messuage or Tenement used or unto the same belonging and appertaining. All with parcels and known by the several names of the Longcroft, the Middlecroft, the Pear tree Piece, the Croyfield the Leafield, the Soleyfield, the Middlefield, Stanhurst Meadows, one little Coppice or Grove called Lacock Grove, the Spring Lees, the Cow Lees pasture or the over Cow Lees, the Nether Cow Lees, one other little Coppice or Grove called the Cow Lees Grove, the Cow Lees Close, or pasture, lying and abutting next unto and upon the Spring Lees at the one end, and the over Cow Lees, at the other end, with all and singular Houses, Barns, Gardens, Orchards, Lands, Meadows, Feeding Pastures, Crofts, Groves, woods, underwoods and commons and all other the appurtenances whatsoever to the said Messuage or tenement belonging or therewith used or occupied .This estate, lying midway between Astley church and Bedworth church, was part and parcel of the Marriage portion of Margaret and for the "better preferment and advancement of the said Margaret in her said marriage and for divers other good causes and considerations." There is no documentary evidence as to where the residence called "The Emeries" was but it could well be the present Sole End Farm. The current farm house does not appear at first glance to be more than 200 years old until you peep round the back. Here the construction is obviously much older, albeit with modern brick infill. 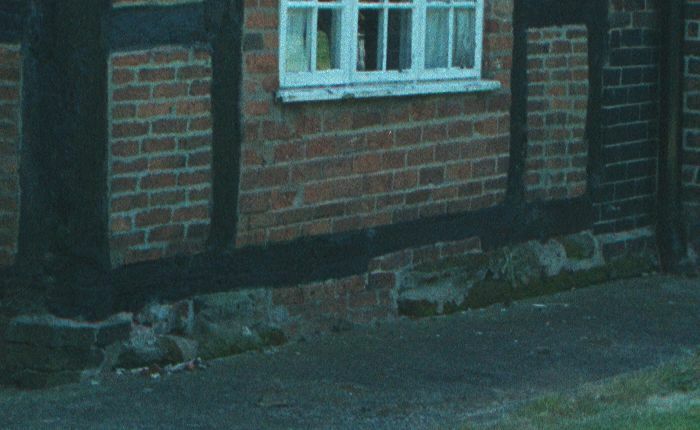 The foundations and stile of half timbering are clearly of c16/17th century. 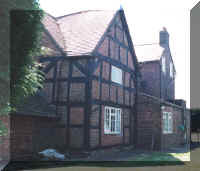 There is an interesting though tenuous link with Sole End Farm and the Bulstrodes in the novel Middlemarch by George Eliot, (Mary Ann Evans).A Mr. Bulstrode is featured in the early chapters and it is well known that she drew her main characters from the people she knew of or grew up with in the Nuneaton Area. Elliot, born in 1819 at Griff near Bedworth, had an Aunt Ann her mother's sister, who married George Garner of Sole End Farm. Her father also was employed by the Newdigates of Arbury Hall who had purchased the Astley estate in 1674. Some of the places in the marriage settlement of 1623 survive today as place names on modern maps. Middle barn still stands to the edge of Middle Field within Astley parish, there is a stand of old woodland called Cowley Wood and an Edwardian house, now a nursing home called Cow Lees.